Attorney James E. Novak can explain the various DUI case stages to his clients in Phoenix, AZ, so that they have a thorough understanding of the ArizonaDUI process. James Novak has extensive trial and litigation experience, and can provide expert representation. The stages in a DUI case may vary depending on the circumstances surrounding your case, but will typically include the arrest, initial appearance, arraignment, trial, and sentencing. If you have been accused of a DUI, contact The Law Office of James Novak as soon as possible for a case review. The stages in a DUI case may vary depending on the circumstances surrounding your case, but will typically include the arrest, initial appearance, arraignment, trial, and sentencing. Arrest: If you have been pulled over under the suspicion of driving under the influence, you may be placed under arrest and required to submit to a breathalyzer, blood, or urine test. If your BAC levels test above 0.08, this is considered driving under the influence. If you have been arrested for a DUI, you should request the presence of your attorney as soon as possible. Initial Appearance: Within 24 hours of your arrest, you will appear before a judge. The judge will read the formal charges against you and provide you with release conditions. If there are no release conditions, you will be released at that time. Arraignment: During your arraignment, the court will again read the formal charges against you and inform you of your rights. After confirming your identity, you will be asked how you want to plea. You can plead guilty, not guilty, or no-contest. If you have retained a DUI attorney, you will likely plead not guilty. A failure to appear at your arraignment will result in the issuance of a warrant for your arrest. Initial Pretrial Conference (IPTC): At the initial pretrial conference, your trial date will be set, and this is usually when the prosecutor will make your first plea offer. During this conference, the judge will inquire as to the status of investigations and witness interviews. This is typically a very short conference. Comprehensive Pretrial Conference (CPTC): In DUI and criminal cases, the comprehensive pretrial conference is used to resolve matters that do not relate to your guilt or innocence. During this hearing, items such as which witnesses may testify in trial and which evidence should be excluded are decided. 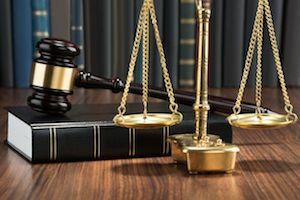 Evidentiary Hearing: During the evidentiary hearing, the prosecution must present the evidence against you, proving that you were, in fact, driving under the influence. This hearing allows your attorney to ask questions regarding the evidence against you and will typically request that the charges be dismissed or significantly reduced. Trial Readiness Conference: Also known as a trial settlement conference, the trial readiness conference takes place about 45 days before your trial date. This conference is a meeting between the judge, defense attorney, and prosecutor to discuss any unresolved issues and offers an additional opportunity for the two parties to negotiate and agree on a plea deal before going to trial. Trial: In Arizona, those facing a first-offense DUI conviction with a BAC under 0.15 do not have the right to demand a trial by jury. All other DUI offenses may be granted a jury trial. A DUI trial typically lasts three to five days. Sentencing: If you plead guilty to the charges against you at your arraignment, sentencing will happen immediately after. A felony sentencing hearing may take place up to 30 days after a trial if the defendant is found guilty. During the sentencing hearing, the defense and prosecution will present their arguments regarding the appropriate penalties and the judge will issue the final sentencing. If you have been charged with driving under the influence, contact The Law Office of James Novak today for expert DUI legal representation. Attorney James E. Novak will explain the steps that are involved, so that you fully understand the process.